Cabix defibrillator cabinets are designed with the intention to offer more than just storage. It is our vision that defibrillator cabinets should contribute to more people surviving heart attacks. That is why we’re designing defibrillator cabinets with emphasis on visibility, availability and quick access – as every second counts when it comes to heart attacks. A defibrillator must always be ready to use and the defibrillator cabinet must support that. Continuously Cabix are working to develop more intelligent cabinets, which makes it easier to monitor the defibrillator. In that way defects are spotted in time and lives are saved. Simultaneously the time that would otherwise be required to watch cabinet and defibrillator is minimized. 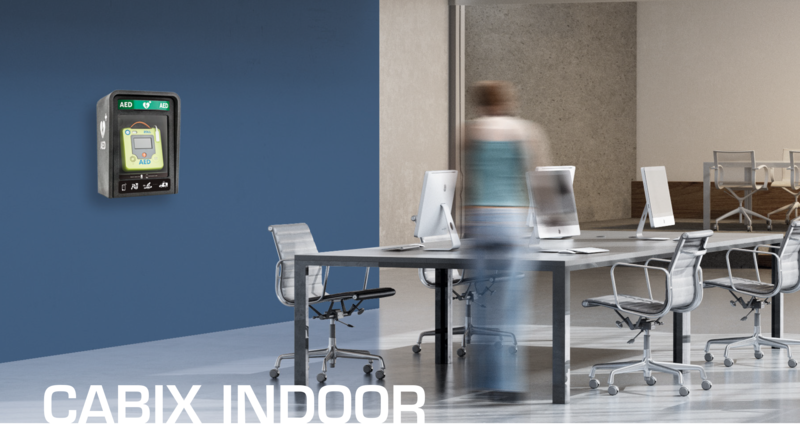 Sustainability is part of our values and therefor Cabix cabinets are produced in environmental friendly materials, minimizing the stress on the environment during production and transport. 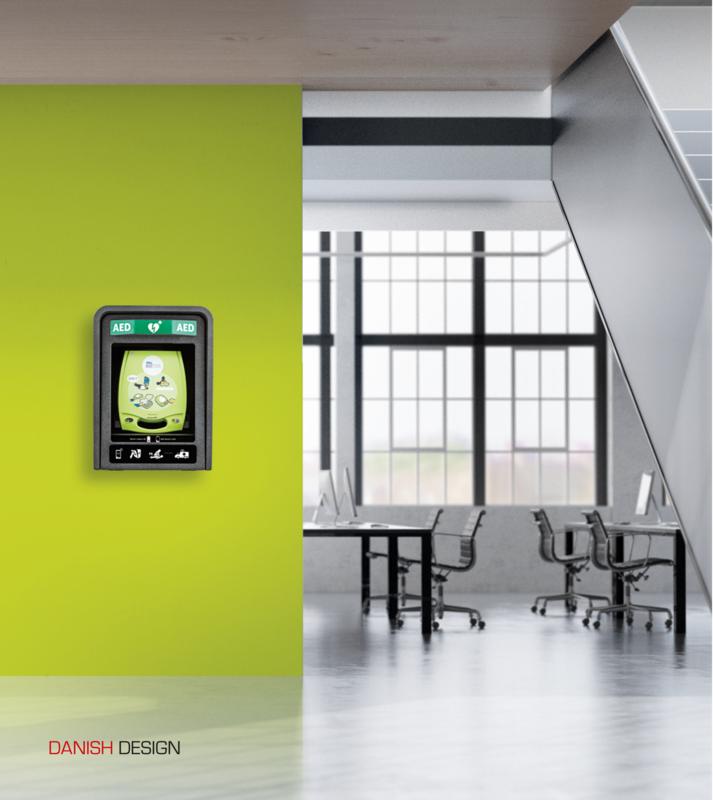 Cabix defibrillator cabinets are developed in a modern nordic design, fitting into diverse backgrounds. Danish designed cabinet in a functional and modern design, making it fit into diverse backgrounds. Reflex markings on the sides and the first aid guide on the front are integrated in cabinet’s design. When the cabinet is opened a loud alarm triggers, to create awareness in an emergency. The big window gives full vision to the defibrillator, making it easy to see status on self-tests. The cabinets is made in the environment friendly and strong material AirpopⓇ, which is also used for biking helmets. 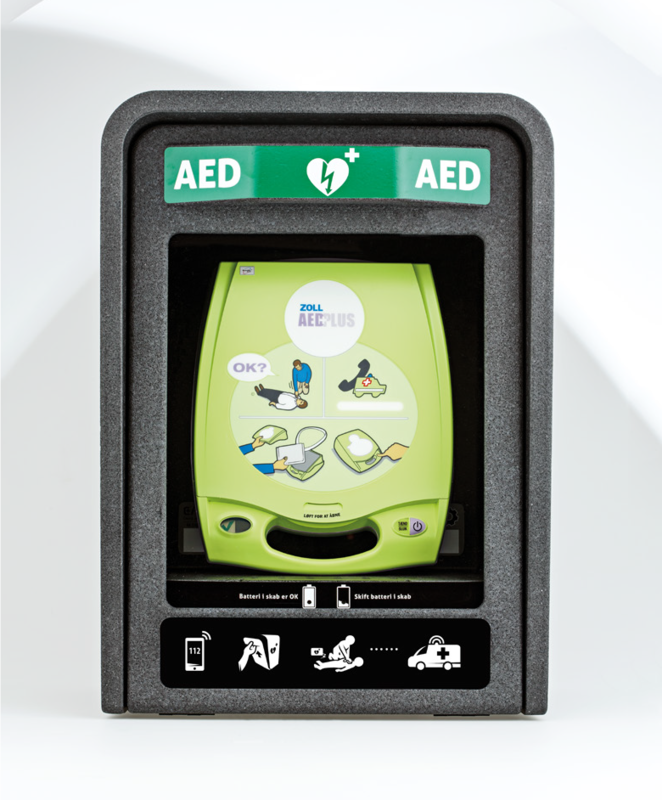 The magnetic closure makes it easy to open the cabinet and gain access to the defibrillator. Specially designed power saving electronics inside the cabinet secures that they hold in up to five years. Blinking LED lights on the front signals when the cabinet’s batteries need to be replaced. The cabinet is easy to install and comes with a measure sketch and a mounting kit for all wall types.